Reiki Charged Herbal Votives- When the time is right to visit your sacred space, these are the candles to use to light your way. 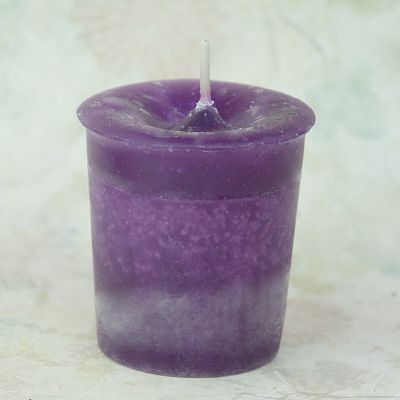 Each of our herbal magic candles has been designed with a specific intention using a unique blend of essential oils created by Crystal Journey. Each candle comes with an affirmation and inspirational message. Handcrafted in New England. Made with natural, metal-free wicks. Candles are 2" tall and approximately 1 5/8" in diameter. Do you have any other questions about our Healing Votive Candle? Ohh Now we need a 6th moon to rate these..The scent is amazing...and placed in the right holder will burn to nothing...The energy from these is incredible..I have always loved these candles and to find this size...at this price...I will be ordering more soon! !